Veterans are tasked with watching the horrors of war unfold before them. This can result in intense and severe illnesses developing over time. They develop because witnessing the devastating violence of modern battlefields move from an abstract concept to reality is deeply disturbing. While most people would reach out for help after witnessing such tragedy, veterans usually don’t. One of many well-known veterans facts is that their training conditions them not to show emotion. 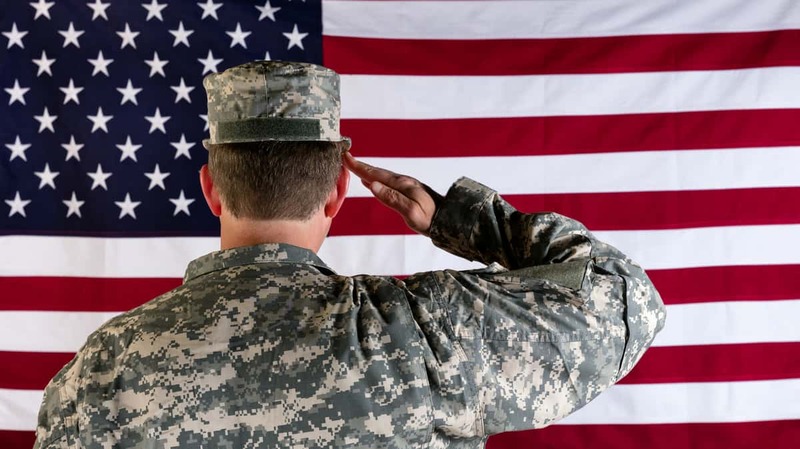 Although only seven percent of Americans are veterans, they are at a higher risk of developing mental illnesses. Their training convinces them that emotions do not matter. That means they don’t seek help when they need it. When left unacknowledged, those feelings can fester as severe mental illnesses. These can include PTSD, major depressive disorder, schizophrenia, and a myriad of others. Keep reading below to learn about veteran mental health, and to learn how veterans can get help. Most military training is designed to break a person down and force them to endure great hardship. By breaking a person down, the military can put them back together in a way the benefits them. It can make a person feel less about getting into a firefight, killing others, or dying themselves. Military training is about removing people’s empathy and building their mental fortitude. People go through military training built for one thing: to fight. While training people like this may work on the battlefield, its maladaptive for the civilian world. Away from the battlefield, there is seldom the risk of entering a firefight. For most people, showing emotion and requesting help isn’t something that they expect to be punished for. However, that isn’t the same in the military. In fact, the military does not allow anyone with a history of mental illness to join it. This is because the battlefield can be an intense arena of violence, and they need to know the people in it can handle literally being shot at. However, they also need to make sure people can handle the training and culture. Somebody with a mental illness may be tempted to run away after a drill sergeant yells at them. They may not want to get out of bed after their unit jokes at them for something. Emotions simply aren’t compatible with the military atmosphere. And while that may be fine while people are in it, suppressing emotions can have devastating consequences back at home. Whether or not a veteran has seen combat doesn’t matter. They can still develop mental illnesses as a result of their time in the military. Although only around 20 percent of military positions are involved in combat, 22 percent of veterans seek mental health treatment. One of the most common diagnoses among veterans is depression. In fact, depression is usually diagnosed along with another mental illness, such as PTSD. Not many people know, but many veterans are eligible for PTSD Compensation. It can be hard to tell if a person’s individual mental illness makes them depressed or if it’s the result of their time in the military. However, that also doesn’t matter. Severe depression can result in suicidal thinking or even suicidal tendencies. If it’s left unacknowledged and untreated, depression can lead to terrible consequences. That’s why it needs to be treated in any way possible, from online therapy or by talking to a traditional psychologist. Depression is usually marked by a general unwillingness to so much as get out of bed in the morning. Depressed people don’t take the same kind of enjoyment in things they once did. They can sometimes become obsessed with larger facts of life, such as mortality, and can claim nothing they do has meaning. To care for them, sometimes depressed veterans require aids to visit them at their homes. The consistent check-up can actually treat depression, and it can be calming to know they’re being taken care of. It provides many benefits, and you can read more about it here. Since veterans are taught to suppress their emotions, none of these dark feelings are usually expressed. Instead, they’re left to fester, resulting in the development of worse disorders, or even suicide. Veterans are commonly depressed after returning home, out of both suppressed emotions and a lack of purpose. However, another common illness to develop from any military experience is post-traumatic stress disorder. With PTSD, veterans never truly arrive home. They are constantly reliving the experiences they had in the military, and see the world as dangerous as a result. A balloon popping could sound like gunfire to them, and large crowds may be throngs of combatants to them. Since they live in a dangerous world, all to their own, they can develop odd tendencies. A veteran with PTSD may refuse to leave the sofa out of fear of encountering an enemy. They may not be able to live in a city since they may not feel safe. They can also become suddenly violent as a result of innocuous stimuli. During the Fourth of July, fireworks may make them believe that they’re back in a war zone. Since the military teaches people to meet violence with violence, they may lash out at those closest to them. And that is both literal and figurative. While veterans may attack nearby people out of perceived self-defense, they may also lash out at people they have interpersonal relationships with. They may not feel entirely understood by those people, and that can upset them. Many veterans may also never seek treatment for it, as a result of their training. Sometimes, they are also afraid of the cost of medication and treatment in general. And although it can be hard to definitively arrive at a statistic, PTSD is one of the most common mental illnesses among veterans. Veterans literally had one of the hardest jobs on the planet. Even if they never see combat, their training is merciless and is designed to break them down to their core. As a result, they can seem distant, cold, and vaguely threatening. But one of the many veterans facts is that they are people, just like everyone else. They’re people who have had difficult jobs and may be suffering as a result. They just need care and compassion – all they really need is for somebody to be there for them. They’re fighting one of the hardest fights of their entire careers. And like during any fight, they may just need some reinforcements. So if you know a veteran that may be struggling, just be there for them. And if you’re not sure how to help, keep reading here. We keep our blog updated with the latest health news and will keep you informed on how to care for the veterans close to you.